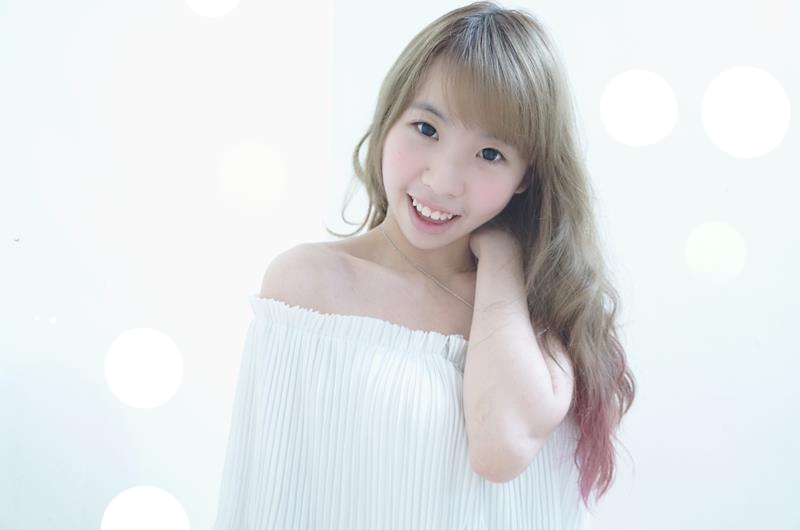 Hello my little sweethearts ♥ :3 I didn't mean to scare you with my naked face without any makeup here but today I just want to continue my beauty journey with all of you! Yeap yeap yeap yeap~ This is a skincare product so I guess it's the best way to show and take photo with a clean and 'PURE' face. Although I look freaking weird with my stupid eye bag but just my face is not the main point k? Main point is this freaking AWESOME toner. Btw, it's an ♥ALCOHOL-FREE TONER♥ . Guess this is not the first time I introduce all of you natural skincare product. Most of the time I reviewing this kind of product like previous paraben and artificial free product too .. Not sure why but this is what we probably have to know and today I picked this... ALCOHOL-FREE tooooneeerrrr!!! One main reason people should prefer alcohol-free skincare product like toner is because it's LESS Dryness compare with those contain alcohol-free one .In other words, toner without alcohol is very refreshing without the harsh drying effects of alcohol. Sounds great right?? Oh yea for those who are sensitive skin you might have to throw away all your skincare product which contain alcohol!! Loll In conclusion , WITHOUT ALCOHOL = LESS DRY SKIN . So probably when you use alcohol free product your face wont feel the tightness so much. Hmmm...that's really good on our skin right?? MUAHAHHAHA!! Then thennn WHAT ARE YOU WAITING FOR?!!! Let's get started! Yeaa! I got this two natural alcohol-free toner from nattacosme.com and this two product are quite hot recently. But so far if they didn't sell this on their website probably I never have this chance to discover it. I heard about this from other beauty youtuber but so far I didn't see any physical store at Malaysia selling it. So, what is THAYERS?!!! In short,THAYERS actually was a line of herbal extracts for sale to the medical profession. But after that, its become very popular because of its own special natural remedies with high-quality ingredients within all its product range. It's all about NATURAL REMEDIES! Am I right? You probably can just go to their official page and scroll through all their product. Feedback and every review were super good too. I can't believe the price too. It's very reasonable WHY? Let's see! As usual when I get my parcel from them I feel like it's more than a parcel. Just like a beauty box have lots of surprise and good packaging box too. They even have their own red-pocket for this coming new year eve! So the flower I ADD ON to make my photo look more beautiful! LOLLL I received this two Alcohol-Free toner. They have a big range with lots of diff choices. You can click on natta cosme website and see but for me I'm very happy I got the rose and lavender one because it's smell SUPER GOOD!! Okay! Let's get started with the first one! I used the lavender one for almost 2 week and this is why I only review it now. Really have to see the result by myself only can review it Right? Then so far I'm very satisfied with Thayers product especially the rose one. You know why? Both actually works like the same just the ingredient and the scent is diff and I prefer rose scent one :P HAHAHAHAHA If you are a Lavender Lover you probably going to die for this!! TELL YOU SUPER NICE! This Lavender Alcohol-Free Witch Hazel Toner contains lots of Vitamin E which is a good gentle and soothing formulation on your skin.This lavender one is very good to fade acne scar!! So if you have some acne scar on your face you probably might go for this one because it is rich in VITAMIN E!! Therefore,next time if you wish to fade your leg's scar and body one you probably have to look for those contain vitamin E product!!! The toner wasn't small!! IT'S HUGE! Like our mineral bottle size! Lol it's 355ml. I swear I never bought any toner bigger than this one. I think this can last at least 4 months++ for my face. OMG LOVE THIS!!! REASONABLE PRICE + HUGE SIZE + VITAMIN E + SUN SNOOTHING + RELAXING !!! This also helps to keep your skin functioning in the best way possible since it's ALCOHOL-FREE. Oh and another important thing that must be considering when using skin care products is there effectiveness. This one and the lavender one also quite effective you can feel the smoothness on your skin after apply it and also it absorb super FAST! You can feel super fresh and clean that without any tightness and stinging on your face! Just like others toner you can use it at night or morning after done cleansing your face. You just need to pour 6-8 drops on a cotton pad then apply it all over your face. Left some amount on the cotton pad you just simply apply it all over your neck and hand too! Oh yea!! Did I mention you can also use this as a hydrating mask too? What you need to do is go and get a compressed mask then just simply pour the amount of toner + let the mask absorb. Then after that placed it on your face for 20-25 mins!!! THAT'S ALL!! I guess I should use this as a hydrating mask too because it's really really relaxing one ehh!! So now this is the main part of this review!! Yeah My own opinion on this two product !! I think you can realize how much I love with THAYERS product!! So here's some of my personal opinion on their product. - I love how big is this toner. The size is definitely one of the reason I think it's better than others toner. It's alcohol and paraben FREE but still the price is just so REASONABLE. 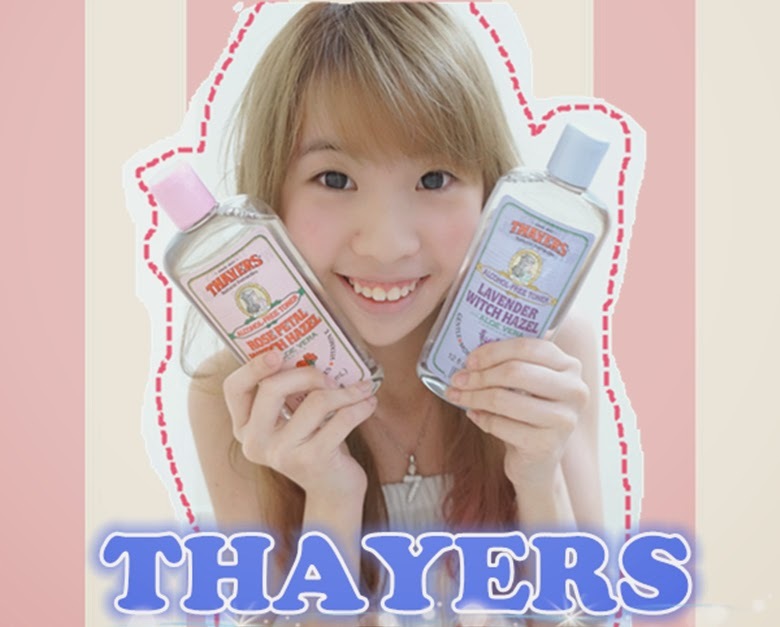 It's just RM45 for each bottle of Thayers toner! - There are always a reason why people love THAYERS product is because of its natural remedies. The scent of each diff bottle is actually depend on each person. For me I love and prefer rose more so I think rose is more relaxing for me :) But my mom feel that Lavender smell nicer and more relaxing. I really think they did a great job on every single product especially the scent. Not too heavy not too strong but JUST NICE! No need to explain probably it's all because of its ALCOHOL FREE!! !Therefore I didn't dry and stinging on my face. #4 Use as hydrating mask too!! #5 Apply it on your face anytime you feel dry!! Cons, for me I usually using whitening range of product therefore, this two bottle without any whitening effect is quite hard for me but still the hydrating effect is totally more than everything. I think I will use this at night for relaxing and hydrating purpose too while my usual skincare routine I'm using my aiberia toner :) I think pros is more than cons really can't find any cons for this product because no matter the size and the price it's really affordable and nice to everyone. I'm just loving it!!!! and guess what for all my readers and sweeties you have special discount code when shopping with nattacosme.com!!! Just shop whatever you want and put it on the shopping chart. When it's end to check out time you just need to include a coupon code : CW2014 to enjoy a RM8 off for purchase above RM100. So what are you waiting for?? Just ahead and grab it home. It's very convenience and their respond and parcel arrive on the next working day too!!! !